William D. Vines III - Mediator based in Knoxville, Tennessee. Butler, Vines & Babb, P.L.L.C. If you’d like a list of available dates for William Vines, please submit a request below. You will hear back directly from William's assistant, Dianne Caldwell. 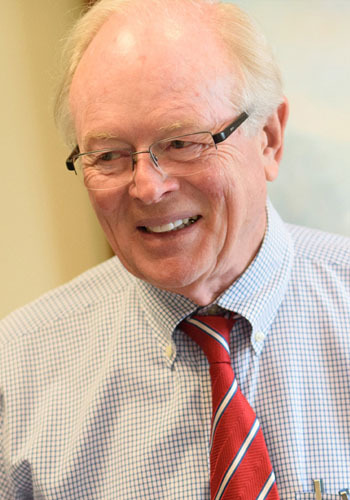 Bill Vines is a senior member of a law firm that emphasizes trial practice. He has practiced for fifty-two (52) years and has tried numerous cases, including business, personal injury, lender liability, contract disputes, and environmental cases. He served as regional trial counsel for an asbestos manufacturer. He was responsible for trials in six states. He has represented both plaintiffs and defendants, including Marina owners in the case for pollution from nuclear plants. He has tried numerous medical malpractice cases, including obtaining recent verdicts of $6.2 Million and $2.8 Million. Bill Vines was the recipient of the Knoxville Bar Association's Governor's Award (highest award of the association) in 2007. He is listed in Best Lawyers of America and Best Lawyers of Knoxville, as well as the Top 100 Lawyers in Tennessee. He served as President of the Knoxville Bar Association in 1986. Bill Vines is a Tennessee Supreme Court Rule 31 listed mediator in State and Federal Courts. He has mediated many cases, including large, multi-party cases requiring renting of large facilities and/or use of federal courtroom facilities. University of Tennessee (J.D. 1965). Recipient, Trial Moot Court Award x 2, (1965).